This article is part of Monthly Review’s March issue, “Opt Out!”. 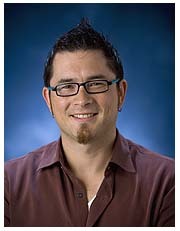 Wayne Au is an associate professor in the School of Educational Studies at the University of Washington at Bothell and an editor at Rethinking Schools. Jesslyn Hollar is a doctoral student at the University of Washington and director of the Alternative Pathways to Teaching program at Central Washington University. We believe the opportunity to build numerous multi-billion dollar education enterprises is finally real. The biggest investment opportunity is where there is a problem — the bigger the problem, the bigger the opportunity. There is no bigger problem in the global knowledge economy today than how to effectively educate our populace. Venture capitalists and start-ups are not the only groups cashing in on the privatization of public education. So too are established multinational corporations like Pearson and the Educational Testing Service, which control massive portions of the “education industry.” Pearson is paid to create tests, which it is then also paid to administer and grade. The company accordingly markets a slew of test “support tools” for consumers to purchase, including test preparation materials, test-aligned textbooks, mobile apps, and computer software. In an education industry dependent on market competition to increase profitability, there is no better tool to turn teaching and learning into products — ready to measure, compare, and sell — than the high-stakes standardized tests championed by the contemporary education reform movement. The current era of corporate education reform began with the 1983 publication of the Reagan administration’s report A Nation at Risk: The Imperative for Education Reform, prepared by a committee of prominent professors, politicians, teachers, and business executives.5 Not only did the report attack many of the equity-minded federal education reforms that preceded it, A Nation at Risk also manufactured a narrative of public education in crisis, steeped in the language of Cold War military paranoia: “If an unfriendly foreign power had attempted to impose on America the mediocre educational performance that exists today, we might well have viewed it as an act of war,” the authors wrote. “We have, in effect, been committing an act of unthinking, unilateral educational disarmament.”6 The report also recommended test scores as an essential metric of student learning—the first major use of testing as a tool to convert teaching and learning into data to be measured, compared, and consumed. Thus, schools would become like any other business enterprise, where efficiency and competition rule. In this model, “bad” educational producers go out of business and are removed from the market, while “superior” educational producers survive and thrive—the same logic advanced by charter school advocates now. 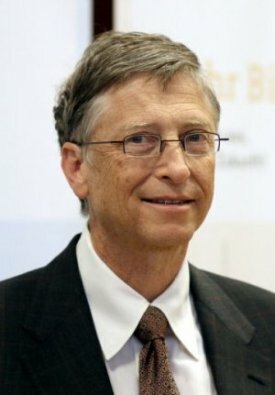 NCLB was significant not only because it codified the neoliberalization of federal education policy; it also opened the gates for commercial access to the public funds supporting public education, entrenching the already-dominant corporate power and influence over federal education policy. RTTT also added support for two key policies that NCLB did not: using test score gains or losses to evaluate teacher effectiveness (sold as “models of value added measurement”), and a commitment to “common standards”—which in this case meant adoption of the Common Core State Standards, since no other national standards existed for states to use. Now, instead of just mandatory annual testing and punitive measures for struggling schools, cash-strapped states—who had little choice but to pursue the multi-billion-dollar grant money—were made to implement specific federally supported education reforms.19In the end, despite the Obama administration’s efforts to distance itself from NCLB, and the failure of NCLB’s testing mandates (in particular the mandated but statistically impossible 100 percent proficiency rates), the act’s design provided the policy blueprint that led to RTTT. The latter only further entrenched high-stakes testing, and extended nearly every other neoliberal measure of NCLB into state and federal education policy. As of this writing, NCLB has been declared deceased, and RTTT seems to have withered and vanished in the triumphant narrative surrounding NCLB’s demise. Now, victory has been declared in the next generation of U.S. federal education policy, the Every Student Succeeds Act (ESSA), signed into law by President Obama in December 2015. However, it will come as no surprise that despite growing nationwide resistance, the federal government has reaffirmed its commitment to annual high-stakes standardized testing and accountability measures, and to linking those scores to school funding. Coupled with the continued testing and accountability fetish are dangerous provisions that will serve to diminish the quality of the teaching workforce in favor of a competitive teacher preparation market, whose graduates’ worth will be measured by their ability to raise student test scores, and little else. So although federal education policy now operates under a new name, in the ESSA we still have the same testing, conceived within the same neoliberal framework. 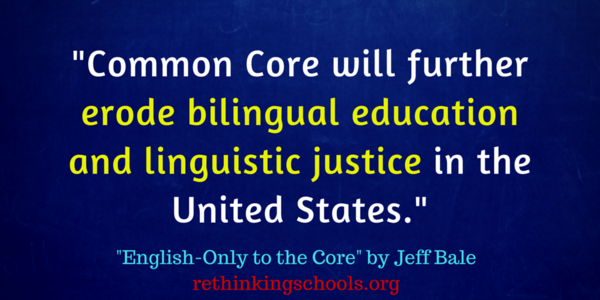 All of which makes the Opt Out movement so critical. High-stakes tests provide the data that is the very fuel of the corporate education reform machine. 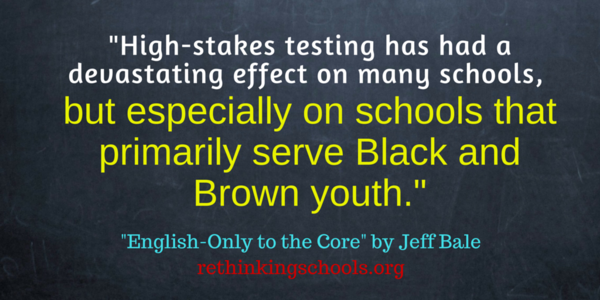 By opting out of these tests, students, parents, and teachers have the power to take away the data. With the data seized and the machine deprived of its fuel, the corporate reformers cannot produce public education for private gain. This is why opting out is so threatening to the reform industry—and it should be. ↩Michael T. Moe et al., “Revolution 2.0: How Education Innovation Is Going to Revitalize America and Transform the U.S. Economy,” GSV Asset Management, July 4, 2012, http://gsvadvisors.com. ↩National Center for Educational Statistics, Digest of Educational Statistics, 2012,http://nces.gov. ↩Michael Fabricant and Michelle Fine,The Changing Politics of Education: Privatization and the Dispossessed Lives Left Behind (Boulder, CO: Paradigm, 2013). ↩Lee Fang, “Venture Capitalists Are Poised to ‘Disrupt’ Everything About the Education Market,”The Nation, September 25, 2014. ↩National Commission on Excellence in Education,A Nation at Risk: The Imperative for Educational Reform (Washington, D.C.: U.S. Department of Education, 1983), 65. The full report is available at http://datacenter.spps.org. ↩Wayne Au,Unequal by Design: High-Stakes Testing and the Standardization of Inequality (New York: Routledge, 2009). ↩Larry Cuban,The Blackboard and the Bottom Line: Why Schools Can’t Be Businesses (Cambridge, MA: Harvard University Press, 2004). ↩Kathy Emery and Susan Ohanian,Why Is Corporate America Bashing Our Public Schools? (Portsmouth, NH: Heinemann, 2004). ↩George W. Bush, “A Culture of Achievement,” speech delivered in New York City, October 5, 1999. ↩Patricia Ellen Burch, “The New Educational Privatization: Educational Contracting and High Stakes Accountability,”Teachers College Record 108, no. 12 (2006): 2582–610. ↩Thomas Toch,Margins of Error: The Education Testing Industry in the No Child Left Behind Era (Washington, D.C.: Education Sector, 2006). ↩J. Mark Jackson and Eric Bassett,The State of the K-12 State Assessment Market (Boston: Eduventures, 2005). ↩U.S. Department of Education,Race to the Top Program Executive Summary (Washington, D.C.: U.S. Department of Education, 2009). ↩William J. Mathis, “The ‘Common Core’ Standards Initiative: An Effective Reform Tool?” Great Lakes Center for Education Research and Practice, July 2010, http://greatlakescenter.org. 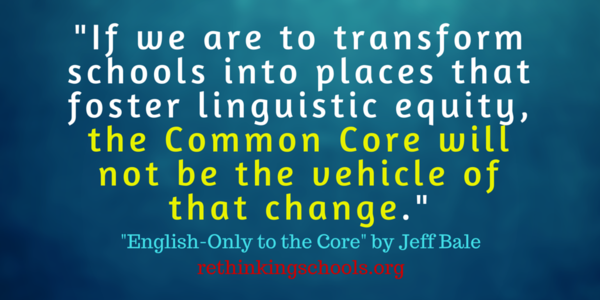 ↩Mercedes Schneider, “Those 24 Common Core 2009 Work Group Members,” deutsch29 blog, http://deutsch29.wordpress.org. ↩Mercedes Schneider, “Incompetent Pearson ‘Wins’ PARCC Contract. Big Surprise,” deutsch29 blog, May 2, 2014. ↩Lyndsey Layton, “How Bill Gates Pulled Off the Swift Common Core Revolution,”Washington Post, June 7, 2014. ↩Michael Klonsky, “Power Philanthropy: Taking the Public Out of Public Education,” in Philip E. Kovacs, ed.,The Gates Foundation and the Future of U.S. “Public” Schools (New York: Routledge, 2011), 21–38. ↩Bill Gates, speech delivered to the National Conference of State Legislatures, July 21, 2009. ↩Patrick Murphy and Elliot Regenstein with Keith McNamara,Putting a Price Tag on the Common Core: How Much Will Smart Implementation Cost? (Washington, D.C.: Thomas B. Fordham Institute, 2012). ↩“Common Core State Standards Estimated Cost is $16 Billion for States,” Pioneer Institute, February 22, 2012, http://pioneerinstitute.org. ↩Motoko Rich, “NewSchools Fund Attracts More Capital,”New York Times, April 30, 2013. Originally published at monthlyreview.org on March 1, 2016. Those of you who follow us on Facebook know that we regularly post articles, stories, and resources that we think would be of interest to Rethinking Schools readers. At the risk of jumping on the top-10 bandwagon, we decided to review our posts for the year and to highlight the ones that were the most popular, judged by total reach. Some are funny, some are moving, some are outrageous—all are provocative and worth reviewing. 1. Dec. 15: “Wrong” answers on tests from brilliant kids. 2. April 18: Today’s Democracy Now! had an excellent segment — “A Rush to Misjudgment” — about some of the hurried and racist mainstream media coverage of the Boston Marathon bombing. This would be an excellent segment to use with students. 3. 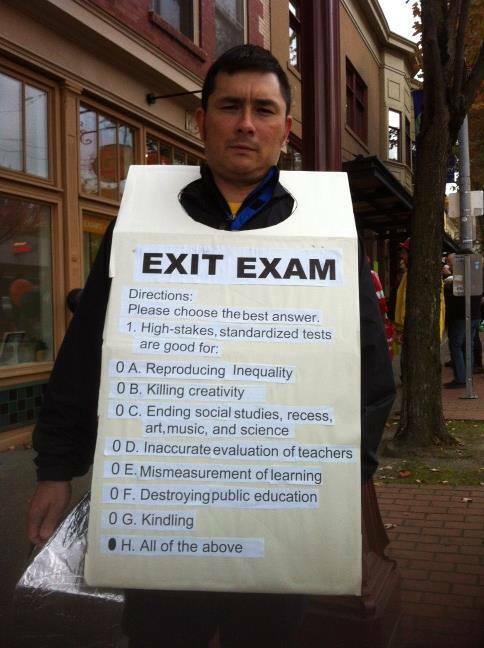 Nov. 2: Rethinking Schools editor Wayne Au was the scariest thing ever for Halloween this year: a high-stakes, standardized test! 5. April 2: Our friend and colleague, Bill Ayers, has written a fabulous letter to the New York Times about the Atlanta cheating scandal. Read it here. 7. Aug. 22: This is a fascinating expose at Daily Kos of how Time Magazine covers in the United States differ from Time covers throughout the world. Great questions to raise about this with students. 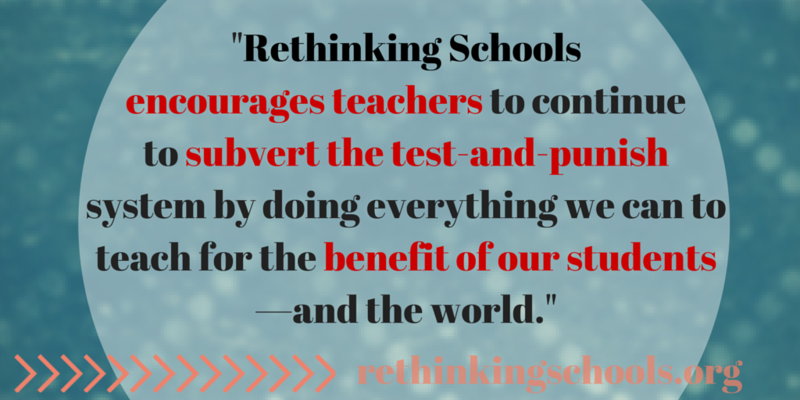 Shared by Rethinking Schools author Özlem Sensoy. 8. May 3: Have you followed the story of the 16-year-old girl in Florida who was arrested and expelled for her science experiment gone awry? An example of the school-to-prison pipeline in action. 9. April 15: Rethinking Schools friend Dave Zirin reflects on the tragedy at the Boston Marathon, and offers some moving people’s history in the process. 10. September 7: Betsy Toll of the organization Living Earth, wrote this wonderful letter to The Oregonian, in Portland, saying we’re not weary of war, we’re sick of it. War is an “educational issue.” Read Betsy’s letter.